Too many businesses don’t give it enough attention, and just throw something together (then complain that online lead generation doesn’t work). 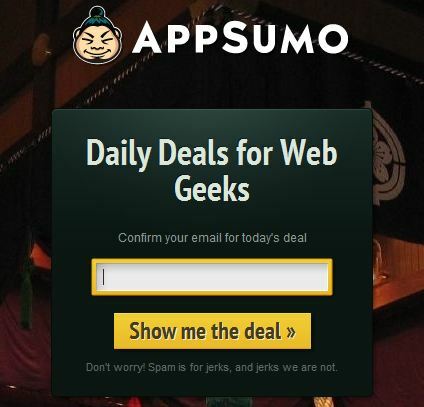 This post is about building email and sign-up forms that convert. Every field you ask them to fill increases friction. The best thing you can do to improve conversions is to get rid of as many fields as possible. In most cases you don’t need to ask for anything but the email address. If you’re like me, you physically feel the brain damage happening. Suffix? Really!? 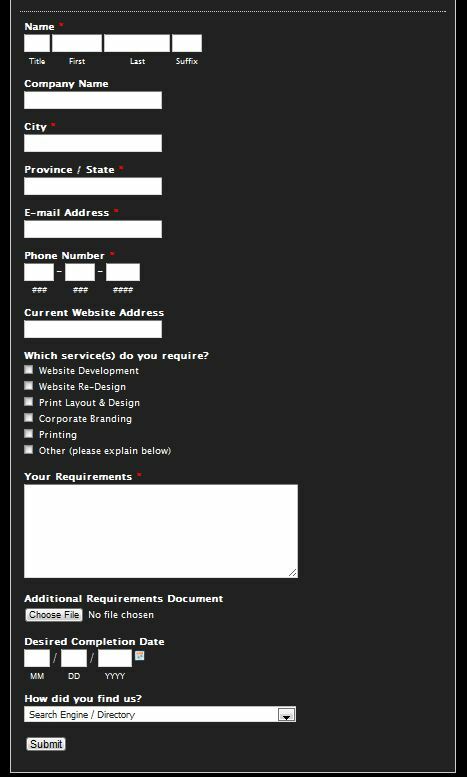 It seems to be a lead generation form for a web design company. What they should ask instead is name, email / phone and maybe the website URL. 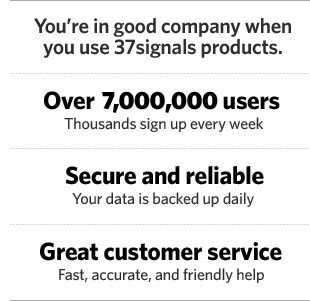 Now the salesperson at the company can get in touch with the prospect and figure out all the other questions over the phone or followup emails. The goal is to get the lead! An eye tracking study showed that people might not look at the “required fields” note on forms, and therefore think that they’d have to fill every single field. The numbers of fields you can have in a form is also dependent upon the perceived reputation of the company. Well-known and trusted brands can get away with more, but even they can’t go overboard. I’ve heard the New York Times subscription form used to be 18 pages long(!) when they first launch their online presence. Times have changed (pun not intended). Do you really need people’s phone, fax or address? If you aren’t gonna ship them anything, people won’t be interested in sharing it. Only ask what’s relevant. Expedia removed the “Company” field from their booking form and saw an increase of $12 million a year in profit. What will you do with their name? If it’s to mention their name in mass e-mail (“Hello [name]“! ), the forget about it. True personalization happens through personalized content. 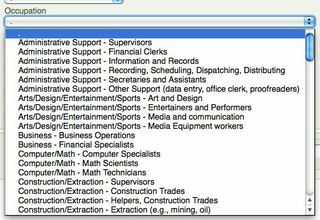 Everybody knows that the name field is filled in by an email software robot, nobody thinks it’s a personal email to them. It used to work really well a few years ago, but now the effectiveness is in fast decline. 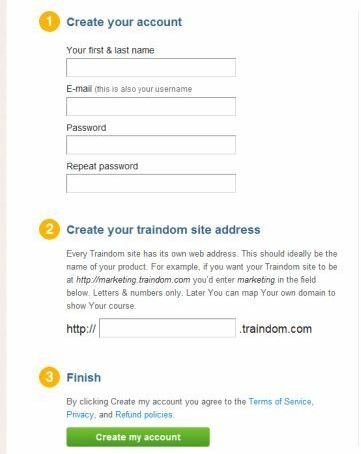 Getting people to give you their email (sign up to your list) is a transaction. You want them to give you their email address (and maybe other data), they want something in return. Generally speaking you should ask for as little as possible on the signup form, and give the user as much as possible in return. People who are motivated are extremely likely to fill out a form that is reasonable in length. Instead of asking can people fill out our sign-up form, ask if people are motivated enough to care? Creating the motivation is up to you, learn to create great microcopy. 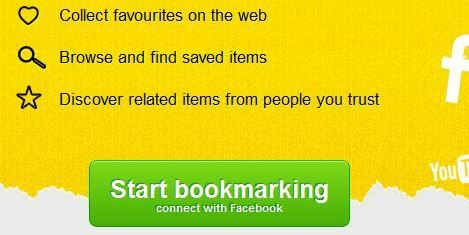 There’s also a service you can integrate to your sign-up forms to provide rewards for signing up (e.g. “Fill Out This Signup Form For A Free $5 Gift Card”). 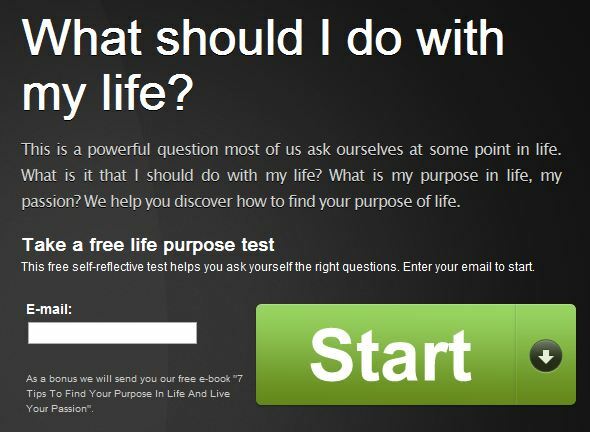 They claim this increases sign-up conversions, but I haven’t tested them myself. In short, don’t just ask for the sign-up, sell it. 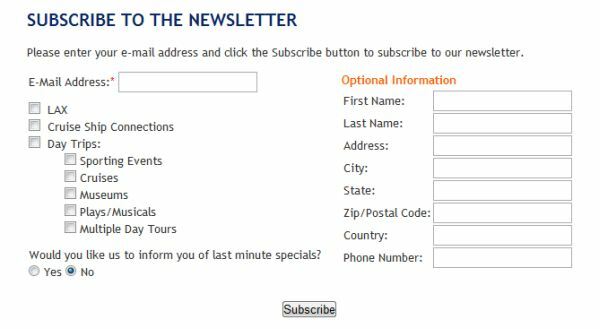 The worst kind of form for enticing newsletter sign-ups. I bet they get no sign ups whatsoever. While it’s short, it doesn’t provide any reasons for signing up. This one converts at 35% which is pretty high. The reason it works so well is that most traffic to the page comes via Google search, and the search terms match the offer of the form. 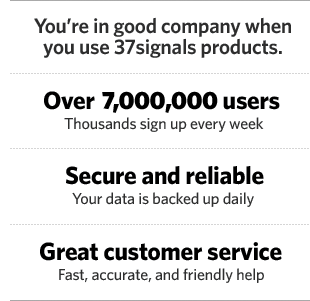 When your offer matches user motivation, you get high conversions. It is very important to test your lead magnet (what you offer in return for their email). The offer itself usually makes the biggest difference in your conversion rate. Everything else is just supporting it. 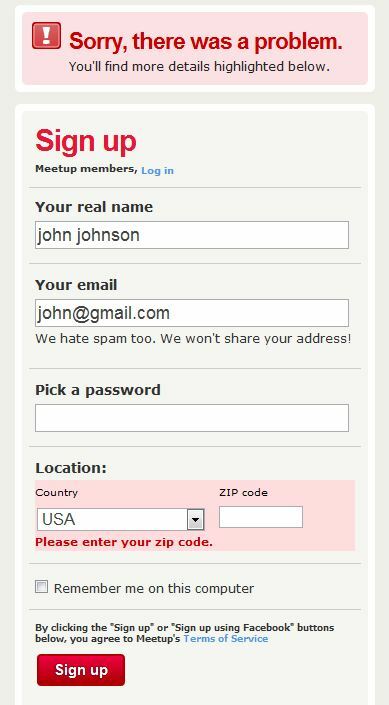 Nobody wants to be the only idiot filling your stupid sign-up form. Show them tons of people have done it. Social proof is very effective. People like to be in control. Submitting the form without knowing what exactly is going to happen creates uncertainty. Uncertainty causes friction. The worst thing your submit button can say is ‘submit’. The best way is to make the submit button say what’s going to happen. People trust beautiful design more than the alternative. Mad Libs is a phrasal template word game where one player prompts another for a list of words to substitute for blanks in a story, usually with funny results. If they fail to fill in a mandatory field or do something wrong, be very clear about it. If they did fill the form incorrectly and you need to show an error message, make sure the fields are populated with the data they entered. If they have to start from scratch, it causes frustration and they might not do it. When asking for information. 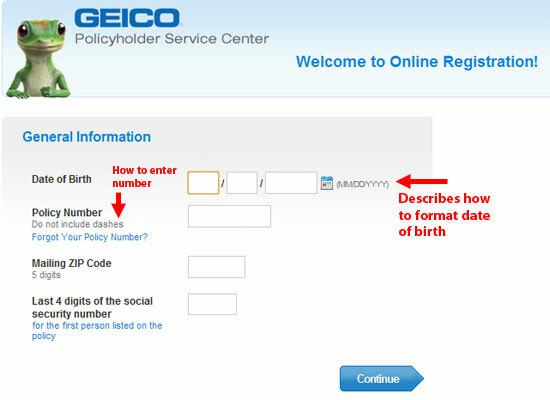 There is nothing more annoying than a form that requires information to be entered in a very specific format. For example, if you’re asking for a date, accept the year as in 11 and 2011 both. Let them use either slash (/) or dot (.) in between the numbers. When you ask for a phone number, don’t require spaces, brackets or anything else – let the user enter their phone number as they please. If you need the data in a specific format, make it clear, or better yet have it converted by a script. You can also design the interface in a way they don’t have a choice. In the case of dates for example, you can have them choose it from a calendar. The more fields you ask people to fill in, the less will. Having two fields for passwords is stupid. Most people do it as “everybody is doing it”, but for no good reason. The idea is that entering it twice makes sure that there’s no typo in it. Well, a better way to do that is to give the option to see what they typed. Here’s a great article on redesigning the country selector. Get the country selector script from here. Use smart defaults where appropriate. For example, if most of your users come from the UK, it might be a good idea to default the country to ‘UK’. 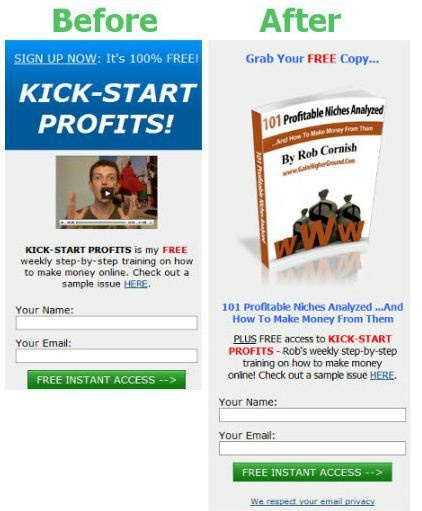 Join our private newsletter and get theinstant-impact guide for boosting your conversion rates. One study done over 6 months found that when forms use captchas, the company could lose out on 3.2% of all their conversions. Another study found that up to 30% of the captchas could be failed/incorrectly answered by people as they’re too hard to figure out. 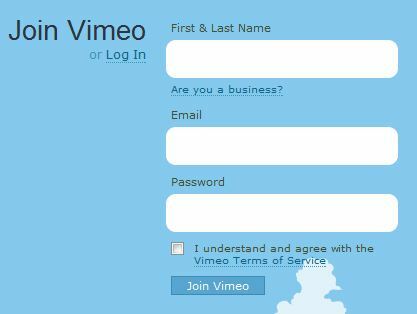 Animoto used to have captchas on their sign-up form, then removed it, and thereby boosted their conversion rate from 48% to 64%. That’s an uplift of 33.3%! So instead, what do you do? 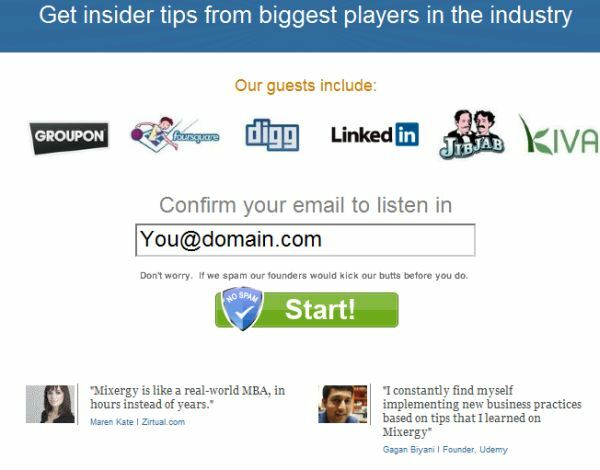 If it’s an email list signup form, just use double opt-in. 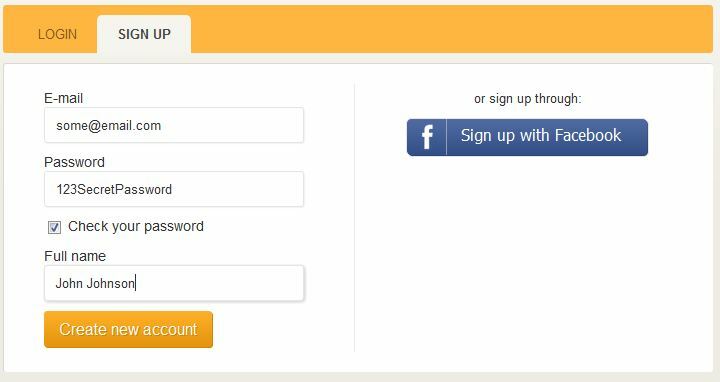 If it’s a quote request or another type of form, you can use the “Honeypot” captcha technique. It involves using CSS to hide a form field that is supposed to be left blank. Every time the form is submitted you check the field and see if it’s blank, if not, mark it as spam but not delete it. If you’re still keen on using captchas, this is the best captcha in the world.